The ParkShore is located at 195 N Harbor in Chicago’s New East Side neighborhood, and offers luxury city living with fantastic amenities and spectacular views of Lake Michigan, Grant Park, Millennium Park, Navy Pier as well as the fabulous Chicago night lights. The ParkShore is conveniently located close to Chicago’s finest shopping being in close proximity to Michigan Avenue and the Loop as well as a large selection of restaurants. In addition, museums and theaters are in close proximity. 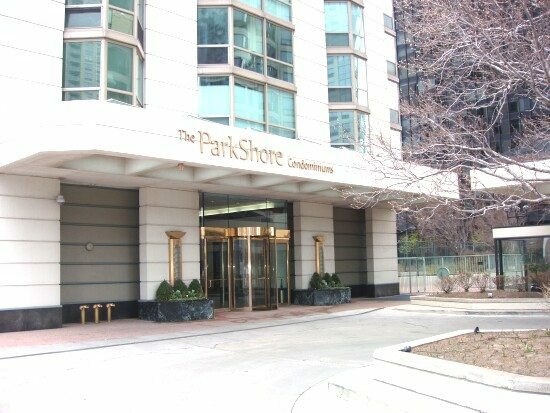 Completed in 1990, the ParkShore houses 9 units on each floor with the exception of the 55th floor which only has 5 larger units and is amongst Chicago’s finest condo buildings. All of the units feature floor-to-ceiling windows and open-space floor plans. In total the ParkShore consists of 482 residences ranging from the smaller one bedroom units to three bedroom units. You can see diagrams of the ParkShore floor plans below. Pets are welcome in the building and there is a common club floor and library for all residents to enjoy. 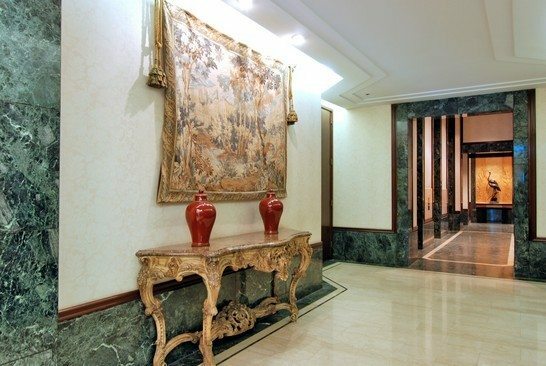 At the ParkShore, an elegant lobby awaits your arrival. Two party rooms – one on the first floor and one on the 56th floor, called the library. **Party rooms can be reserved 3 times per year without charge.